Home → Enablers → Advertising → What is Inbound Marketing and Why is it Important? 86% of the people skip television advertisements. 84% of 25 to 35 year olds have dropped out of a website due to an irrelevant and obtrusive ad. 44% of direct mail is never opened – a wastage of time, paper and money. This begs the question as to what can be done about it. Inbound marketing presents a potential to counter this culture shift. It is a process through which you create innovative, educational and personalized content that resonates with and attracts your prospective customers into buying your products and services. Essentially through inbound marketing, your content becomes a magnet that attracts visitors to your website. Your website should be optimized enough to convert the strangers viewing your site into leads. Once you’ve generated leads, your marketing automation strategy should come into play. You need to nurture those leads and move them further into your purchasing funnel to close them as customers. All is said and done, it isn’t as easy as it seems. 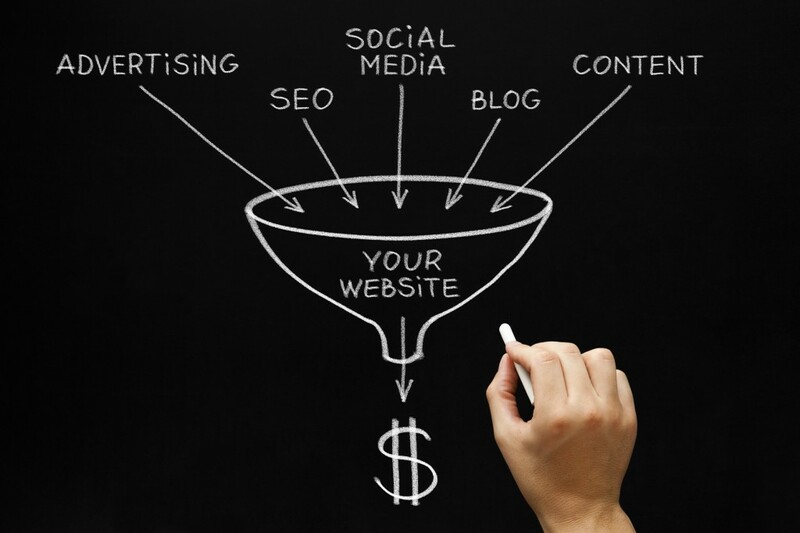 Inbound marketing requires considerable resources to realize the success of your purchase funnel. Is it worth it? Absolutely! Let’s look at some reasons as to why businesses should invest in Inbound Marketing. Which keywords generate the most number of leads? Need to know which page is most often viewed before people buy your product? Want to know your cost-per-acquisition rate? Everything is trackable through a right marketing software. This is one of the biggest advantages of investing in Inbound Marketing. You can easily set goals, measure on-the-go and analyze the performance with fair simplicity. Other marketing channels require complex processes for data acquisition. Most of the traditional advertising that we see today requires a substantial budget to run campaigns. Be it television ads, newspaper ads or even sponsored trade shows. A typical Super Bowl ad slot costs nearly $4 million for a 30 second window. Not to mention the millions spent on producing the ad film. On the other hand, Inbound Marketing doesn’t even require thousands- let alone millions- to generate ROI. All you need is a solid foundation with a carefully optimized site for lead generation and a smart marketing software to implement your sales efforts. Once everything is in place, you can go about placing small bets such as running sponsored posts, blogs and tweets. There is a good chance that not everything is going to work. However the channels are so wide spread that some of your efforts go viral and bring in your valuable customers. Unlike online marketing strategies that are reliant on paid advertising and spending huge money, Inbound Marketing is all about investing your dollars into making your site more efficient and optimized. Adding to that, you should also improve your brand story-telling on social media platforms and churn out sponsored blog posts to keep your pot boiling. This indirectly helps in creating a brand image over a period of time that will help you gain preference in case of parity. If paid advertising is like a diet pill, that you have to keep taking to achieve results; inbound marketing is like going to the gym to slowly build your muscle to maintain a healthy body. Inbound marketing strives to make your brand bigger and better. In you’re in the long run, you should definitely invest in Inbound Marketing. If we objectively look at traditional marketing, the cost of getting a customer through print and television ads is pretty high compared to other sources. Plus it is often not possible to track from where the customer has been converted. With Inbound Marketing, we can efficiently track the customer right from a lead to the final conversion. Since inbound is all about attracting customers organically, one need not resort to annoying things such as pop-ups or banner ads. In any way, the amount you end up spending on converting each customer will significantly be lower than that of any other conventional marketing channel. Inbound Marketing is for those who are in the business of thinking long-term. You cannot expect immediate results nor can you expect an increase in brand value. With constant inbound efforts, you can definitely expect a spike in your brand engagement levels and also your website’s SEO value. By providing value to your target audience, you establish your credibility and gain people’s trust. This goes a long way in influencing decisions. So go ahead and start investing in Inbound Marketing right away!